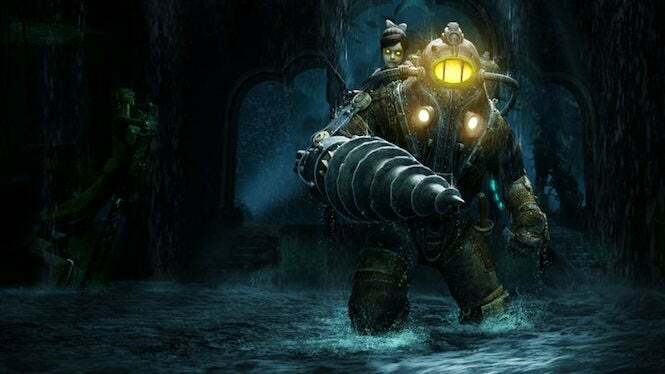 Even though it came to an end all too soon (for now, at least), the Bioshock legacy has been quite an endearing one to millions of players, from the initial dive into the world of Rapture to the rise into the troubled city of Columbia. If you’re a fan of the series, you may be curious to find out more about the behind-the-scenes development of the games – and now you have a chance to find out. 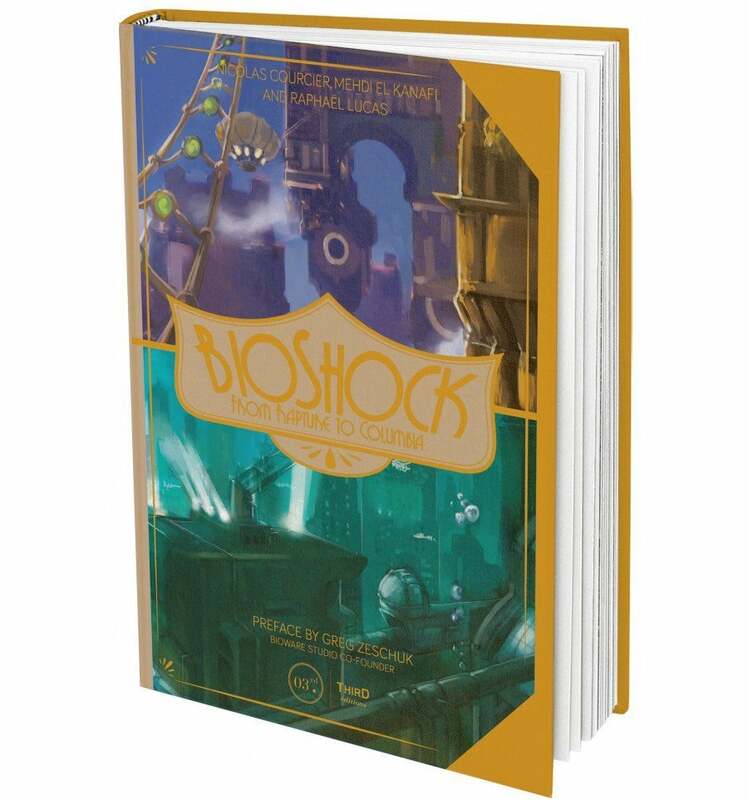 Third Edition has produced a new book that delves deep into the creation of all three games – Bioshock, Bioshock 2 and Bioshock Infinite – like never before. 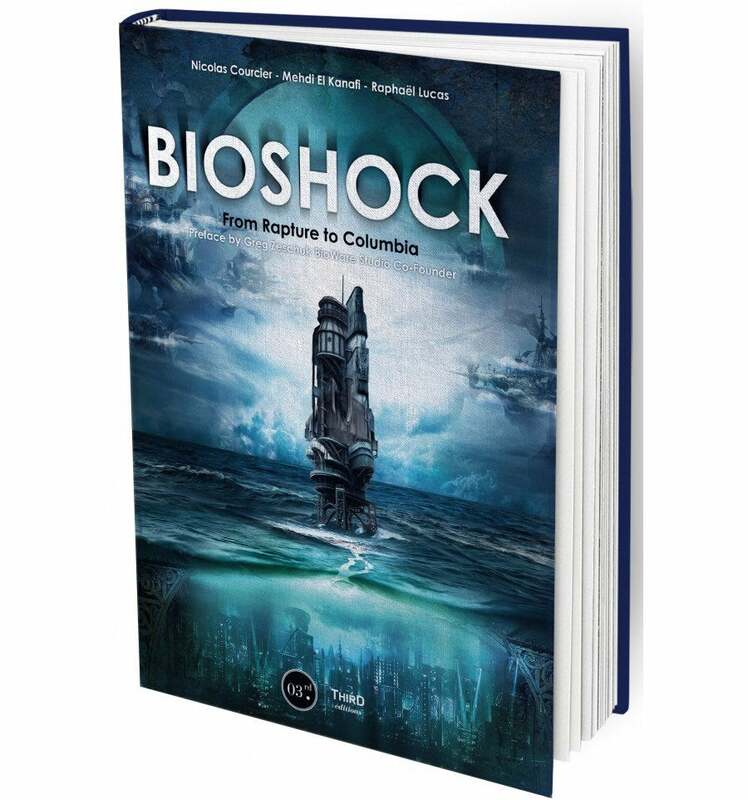 Titled Bioshock: From Rapture to Columbia, the book is set to release tomorrow, and goes for $34.90 through the pre-order link on this page. “In just three episodes, the BioShock series managed to score some big points amongst players’ hearts. Spiritual successor of System Shock 2, the first BioShock was an Irrational Games’ work, directed by Ken Levine. Set in the 50’s ambiance, with Art Déco levels, progression in BioShock is possible through open and smart game mechanics, inciting the player to be creative and to use its environment. The saga is also filled with many profound and philosophical themes, while involving the player in every of its aspects. The book spans across 192 pages, and features all sorts of great art and insight into the creation of each game. What’s more, it also includes a limited edition dust jacket, which you can see below, that shows inspired artwork from the series. It sure looks fantastic sitting on a book shelf, especially if you can prop it next to your Big Daddy figurine. So if you’re a fan of the series, definitely check this book out. It’ll certainly keep you busy until the next Bioshock game is announced. Whenever that is.